Directing is a very demanding job for one person; let alone writing, producing, editing, acting, composing and performing a film’s music. This is exactly what director Sean Hartofilis has taken on with his most recent film, Covadonga. To say this was simply an ambitious decision would be an understatement to this intriguing, surreal piece of cinema. 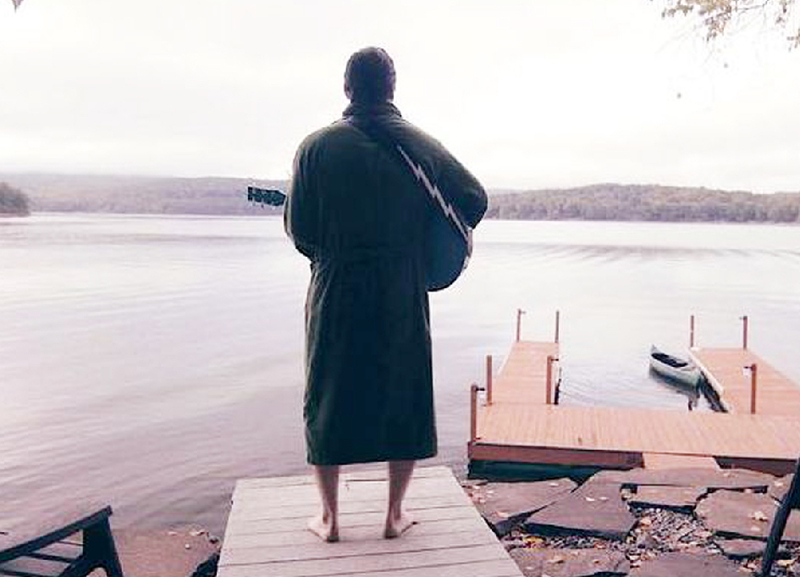 The film follows a widowed songwriter, Martin Ravin, who resides in a secluded lake house by himself. Martin’s dark side permeates when a young couple trespasses on his property. We are first introduced to Martin while he’s playing his guitar on a pier singing to an empty, foggy lakefront, the first of seven guitar riffs. For the next fifteen minutes we follow Martin doing everyday tasks such as swimming, wood chopping, shaving, and mopping the house. In between these chores, you can get a good sense that Martin may be getting a little cabin fever. Covadonga has a very slow build up, but it’s done in such a way that you can’t help but stay consistently entertained and ravenous for answers. As the film progresses, the audience may seem they know what kind of picture is being painted. But then another layer is revealed and makes us question if what we are really seeing is a dream or reality. Throughout the films runtime, the audience is gifted with beautiful long takes, tracking and wide shots. The wides are highly effective in the outdoor scenes, making the characters seem minuscule compared the towering trees and massive lake. This is very different from the scenes taking place inside of the house. At times I found myself gasping for air due to the claustrophobic nature of the shots and blocking. Another observation is the lack of dialogue. This was a smart choice mainly because of the very believable performance by Hartofilis. The slow building scenes bring the viewer to a very dialogue heavy scene that was extremely powerful and unnerving. Hartofilis wrote some beautiful songs that carry this dramatic film from the very first shot all the way to the last frame and you will feel what Martin is going through, and often thinking, through that music. After watching Covadonga I couldn’t help but consistently analyze the film scene by scene over and over again until I came to a realization that it can be interpreted in different ways. Sean Hartofilis is a great talent to keep on your radar, and Covadonga is what true indie filmmaking is all about. Covadonga, an official selection of the Chicago Movies and Music Festival (CIMMFEST), screens at the Davis Theater, 4614 N. Lincoln, on Saturday Nov. 11 at 10 p.m. For more information, click here. 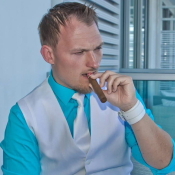 Besides being the creator of Toxic Reviews, Brian Soszynski’s credits include writer for the award winning Civil War fantasy short, “Before the Fall”.